Jocelyn Downie explains the Supreme Court of Canada’s response to the federal government’s request for more time to develop a new law on physician-assisted death. 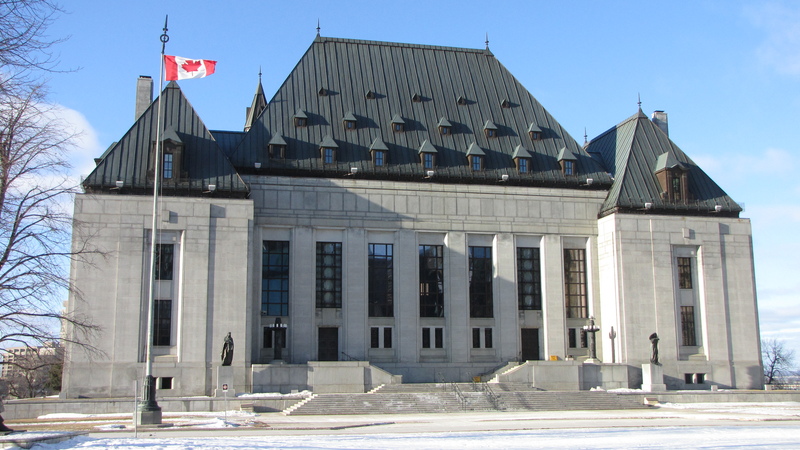 The Supreme Court of Canada then gave the federal/provincial/territorial governments 12 months (until February 6 2016) to introduce a regulatory framework to ensure access to physician-assisted dying. During this time the Criminal Code prohibitions would remain in force. In response, the federal Conservative government did basically nothing for about five months. Then on July 17, 2015, the government appointed a three-person External Panel on Options for a Legislative Response to Carter v. Canada to advise the government on the implementation of Carter. The Panel began its work but, within weeks, the government triggered an election. As a consequence, the Panel was not allowed to consult in person in Canada until the end of the election campaign on October 19, 2015. On November 4, 2015, when the new federal Liberal government took office, nine of the 12 months given to the federal government to implement the Carter decision had already passed. A month later, on December 3, 2015, the federal government asked the Court for a six-month extension of the February 2016 deadline. In turn, the lawyers representing Quebec asked that any extension granted to the federal government not apply in Quebec. And, the lawyers representing the original applicants in the Carter case asked that no extension be granted or, that if an extension was granted, that individuals to be able to apply to a court for authorization of access to physician-assisted death during the extension period. On January 15, 2016, the Supreme Court of Canada responded to the government’s request for an extension. The Court acknowledged that work to develop an appropriate regulatory framework had been interrupted by the election campaign and granted a four-month extension equal to the period of interruption. As a result of this most recent decision, the Criminal Code prohibitions on physician-assisted death remain in effect until June 6, 2016, with two exceptions. First, a majority of the Court gave Quebec an exemption to the extension because Quebec had already implemented a regulatory framework for physician-assisted death (“An Act respecting end of life care”). As a result, medical aid in dying can be performed in Quebec in accordance with the Quebec legislation without violating the Criminal Code prohibitions on physician-assisted death. Second, a majority of the Court also said “those who wish to seek assistance from a physician in accordance with the criteria set out in para. 127 of our reasons in Carter, may apply to the superior court of their jurisdiction for relief during the extended period of suspension.” They did this because they did not see “any need to unfairly prolong the suffering of those who meet the clear criteria we set out in Carter” and they were concerned about fairness and equality between individuals in Quebec and elsewhere in Canada. As a result, Canadians who do not reside in Quebec can apply to a provincial or territorial superior court to get authorization for physician-assisted death. A physician who acts in accordance with such an authorization will not risk criminal charges. So here is the bottom line post-Carter 2016. First, at present, individuals who live in Quebec and meet the criteria for “medical aid in dying” under the Quebec legislation can access euthanasia through that legislation. They must “(1) be an insured person within the meaning of the Health Insurance Act; (2) be of full age and capable of giving consent to care; (3) be at the end of life; (4) suffer from a serious and incurable illness; (5) be in an advanced state of irreversible decline in capability; and (6) experience constant and unbearable physical or psychological suffering which cannot be relieved in a manner the patient deems tolerable” (s.26). Physicians who provide assistance must follow the rules of that legislation. Second, between February 6, 2016 and June 6, 2016, two sets of individuals can apply to a provincial or territorial superior court for judicial authorization for physician-assisted death: (1) individuals who live in Quebec who do not meet the criteria for medical aid in dying under the Quebec legislation or who want assisted suicide instead of euthanasia and (2) individuals who live in other parts of Canada. In either case, if the person meets the criteria set out in Carter they can get judicial authorization for physician assisted death. A physician who provides physician assisted death based on a judicial authorization will not risk criminal charges. Third, after June 6 2016, federal/provincial/territorial governments and regulatory colleges for health professionals should have designed and implemented a regulatory framework for physician-assisted death. Precisely what that will look like, remains to be seen.